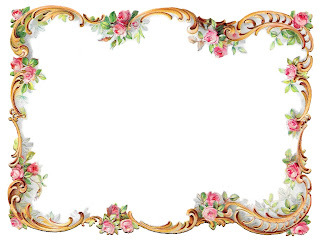 This is a gorgeous digital pink rose frame clip art image. 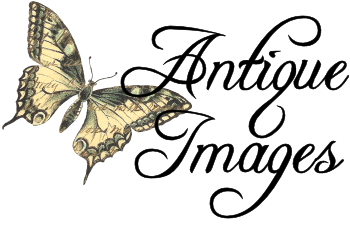 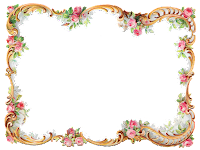 I created this digital border design from a vintage Victorian paper scrap. 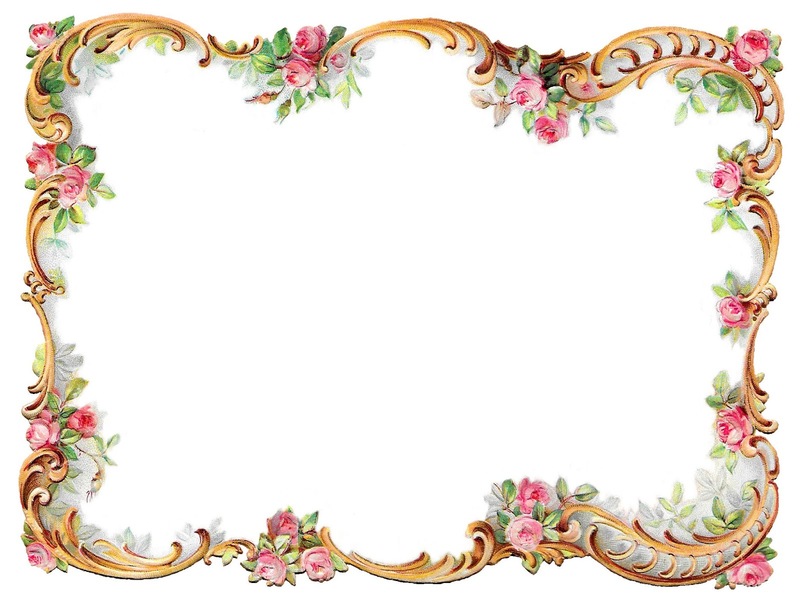 The pink rose bouquets around the decorative border of gold swirl designs are so lovely. 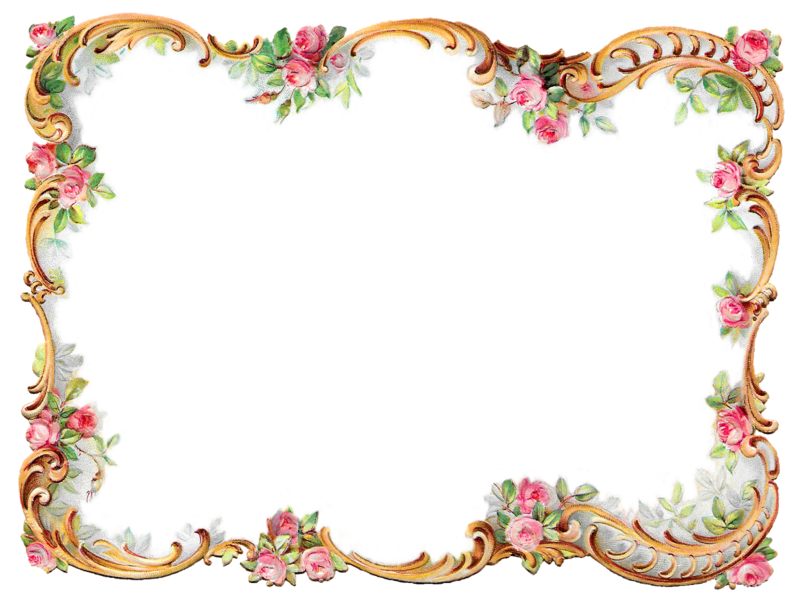 This digital flower frame also has a pretty, shabby chic look, which is perfect for handcrafting labels, greeting cards, scrapbooking projects, and lots more.